Welcome to a rich and enjoyable assortment of water-related essays written for a weekly column, “The Water Closet,” by the Middleton Stream Team and published from January, 2006, through December, 2011, in the Tri-Town Transcript, a community paper serving the Ipswich River watershed towns of Middleton, Boxford and Topsfield, Massachusetts. 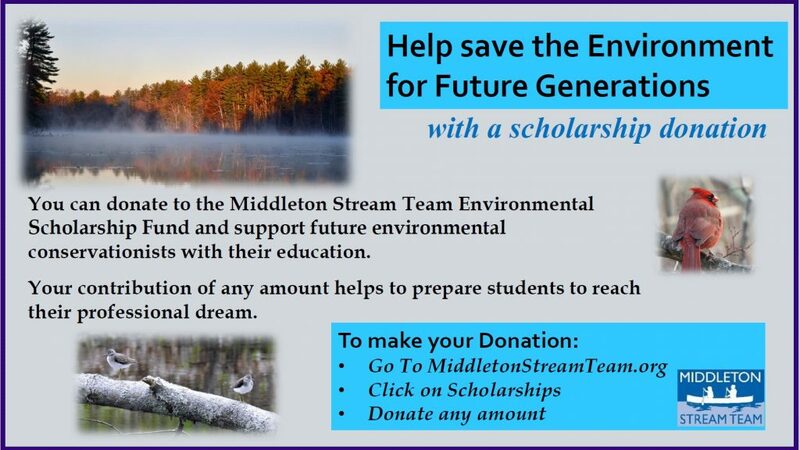 The Middleton Stream Team is an active volunteer group with the broad purposes of environmental stewardship, conservation, advocacy, public service and education. The essays and information provided span all these purposes. 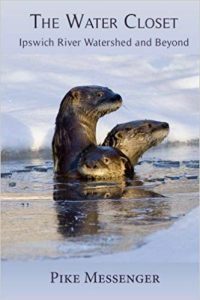 Pike Messenger has a way with words, and his wonderfully crafted essays envelope the reader in an exciting, and always fascinating world of water, watersheds, and the wildlife and humans who depend on these precious resources. Reading these essays is like sitting down with a close friend for a pleasant chat, which leaves you better informed and eager to learn more about the myriad ways in which nature enriches our lives. The Water Closet may be purchased for $20. Please send check for $23 payable to Pike Messenger at 32 Boston Street, Middleton MA 01952 with your street address, upon receipt a book will be mailed you. The $3 is for postage. $8 covers the cost of printing. $12 is for the Middleton Stream Team.